This morning was the dedication of the Seven Dwarfs Mine Train in New Fantasyland, and we FINALLY have the information we have all been waiting for! 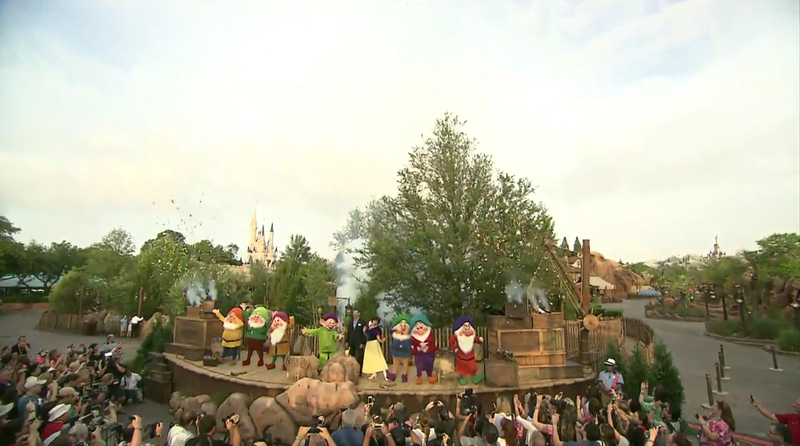 The Seven Dwarfs Mine Train will officially open in the Magic Kingdom on Wednesday, May 28, 2014. The attraction may see some soft opening any time now; however, do keep in mind that soft openings are not guaranteed and that even if the attraction does open, it may only be open for part of the day. 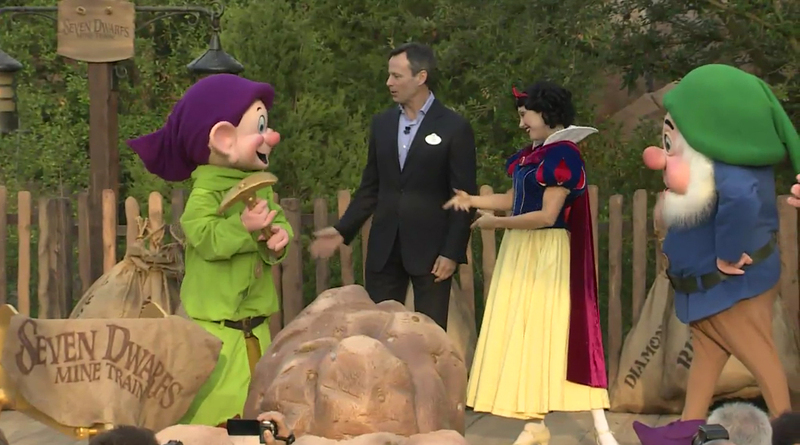 During the cute ceremony, which was live streamed via the Disney Parks Blog, Snow White joined her friends, the Seven Dwarfs, along with Walt Disney World Parks and Resorts Chairman, Tom Staggs, as they used a golden pickax to officially dedicate the attraction, which is the final piece in the New Fantasyland project. It is exciting that we finally have an official opening date for this brand new attraction. Who’s ready to ride? 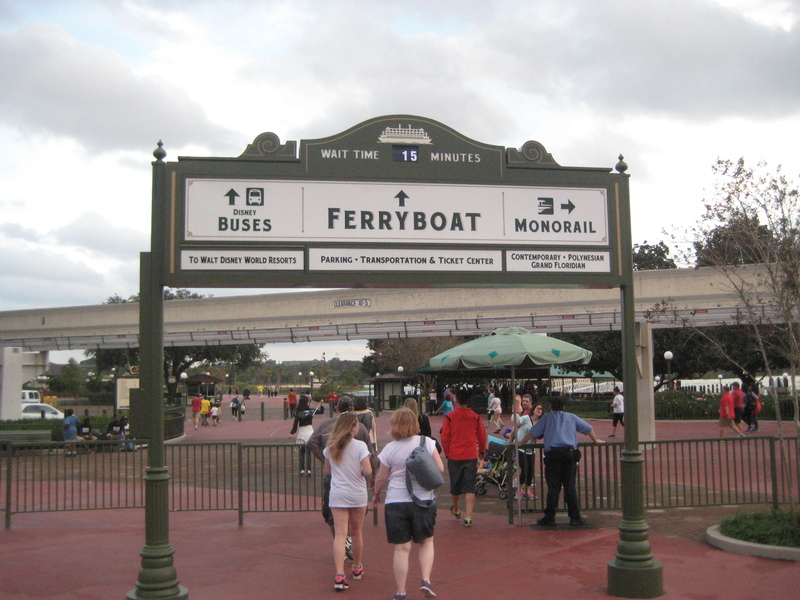 It currently appears that you cannot HOld FP+ for both the mine train and Frozen Meet and Greet…. You might try again, I have FP+ for both the Seven Dwarfs Mine Train and Meet Anna and Elsa on the same day. Game on! Just got our FP+ reservations. We’re gonna break the Internet this morning! So much for our trip May 10-17. I was really hoping it would be open by then. I’m heading home on the 19th, myself, but Brett, you could happen upon a soft opening. Us too, May 12-18. Hoping for a soft opening. Will check every morning. Me too Brett (May 12-18th here) Really don’t understand it taking another 26 days after media event. YAY! So pleased to hear this as we arrive in WDW on June 1st! Cant wait to ride! When do FP+ reservations begin? I’m going June 17-24 and don’t see that it’s an option at that time. It is listed, but the circle to select it isn’t available. so excited – we will be at MK on the 28th, got FP+ for both the Mine Ride and Frozen meet and greet!! yipee!! Just made my FP+ reservation for May 29th! So excited! How exciting! My daughter’s band, Fontainebleau High School, will be marching down Main Street that day! Was really relying on the “inside” info touring plans has been showing up until now. They were showing an opening date (although speculative w/ no official announcement)of May 2,2014. Did my palnning for 2 wks later, just in case, thinking it would be safe. Now very disappointed! Did the same thing Amy… I won’t spend my entire day waiting to see if they soft open it while in MK either… Guess I will have to wait til next trip (year or two). Could someone please explain how soft openings work? Do they post it anywhere or do we just have to keep checking? I think we have broken Disney. AT least for me the web site and the app are both down. will Seven Dwarfs Mine Train be available for Extra magic hours evening or morning? So upset!! May 17-24th. I am hoping for a soft open. Really expected it to open right before my trip.